The paper analyzes the main problems and prospects of military-technical cooperation (MTC) between Russia and China in the context of the development and deepening of the strategic partnership between the two countries. Particular attention is paid to the theoretical understanding of Russian-Chinese military-technical cooperation through the position of foreign and domestic researchers. The basis of the system approach is taken, both at the level of research military-industrial complexes of Russia and China, and on the level of cooperation between Moscow and Beijing in the military-technical sphere in the conditions of the genesis of relations of both states in the modern world. Mutual relations of Russia and China have character of strategic partnership. Dialogue of two countries is supported at different levels of bilateral and multilateral interaction. At voting in Security council of the United Nations of a position of two countries frequently coincide on the basic key questions of day. Opinions of Russia and China are crossed concerning representation about what should be modern system of the international relations. Moreover, the mechanism both multilateral, and bilaterial interaction of two states is adjusted. Military-technical cooperation of Russia and China is one of the main components of the Russian-Chinese strategic partnership who reflects political and economic interests of two states. With disintegration of the USSR influence of foreign policy of Russia in the world was sharply reduced, and the state has faced problems of political and economic character. Defence jobs of China in 1990th years have allowed Russia to load the defenßÑ sector and to stimulate development of new systems of arms. Subsequently, Moscow has restored strong positions in the world market of arms and has expanded geography of deliveries of military production. Among the basic buyers of the Russian weapon now it is possible to note not only China, but as India and Vietnam. Thus, Russia considers military-technical cooperation with the foreign states, as the integral component of the foreign policy strategy which answers achievement political (strengthening of strategic partnership and trust between Russia and China) and economic (a direction of financial assets from deliveries of arms to development and modernisation of key industries OPK and research and development) problems. Among the Russian researchers describing intergovernmental military-technical cooperation in categories of system of the international relations, a balance of power, national interest, a military power and cooperation, it is possible to allocate E.P.Buzhinsky, A.M.Kushnir, L.G.Ivashov, A.L.Rybasa, V.B.Kashin, A.N.Basova, O.V.Migunov, P.B.Kamennova, N.I. To Kalinin, V.B.Kozjulina, A.V.Shlyndova. Arguing on character of modern system of the international relations and behaviour of the USA in it, E.P.Buzhinsky considers that the USA, being engaged in building of the global ABM, undermine strategic stability and provoke other countries to race of arms. Thus, Russia and China are compelled to go by the way of overcoming of the American ABM and creation of new warheads . According to Buzhinsky, China, in turn, is capable to answer an Asian-Pacific segment of the ABM of the USA with escalating of the nuclear potential . Hence, actions of America push Moscow and Beijing to closer military-technical cooperation. The category of national interest is presented in works of domestic researcher Kushnir A.M. He approves that development of military-technical cooperation answers the economic, political and military purposes of the state, underlining, in the spirit of neo-realism that VTS should come true exclusively for the purpose of achievement of own national interests . Moreover, the researcher agrees with idea of classical realists and neorealists that one state cannot be confident the international relations about a non-aggression from other state . L.G.Ivashov pays attention to development of a military-industrial complex of the Peoples Republic of China. It allocates aspirations of China on manufacture of own kinds of arms on the basis of products of the Soviet sample and increase of export possibilities of the Peoples Republic of China. Advantage of the Peoples Republic of China, in its opinion, consists in relative cheapness of Chinese military production. Weapon sale leads economic, and then and to political pressure of the Peoples Republic of China. Russia, according to Ivashov to keep the positions in the world market of arms, are necessary proryvnye for technology and an innovation for development and perfection of the military-industrial complex . The theoretical contribution to working out of the system analysis of the world market of arms has brought A.L.Rybas. In the spirit of the theory of regional complexes of safety it allocates features of the Asian-Pacific market of the weapon, among which aspiration of the Asian countries to import not only arms kinds, but also technologies of their manufacture. Acknowledgement to that is acquisition of the licence by China on manufacture of the Russian fighter Su-27 . A.L Rybas pays attention to change of character of the world market of arms after disintegration of the USSR which was marked by deterioration of the international safety that has forced other states to increase demand for military production . In the spirit of neo-realism of Rybas writes that VTS should be considered as an integral part of foreign policy of the state. P.B.Kamennov considers that a principal cause inducing China to military-technical cooperation with other countries (in particular, with Russia), is character of modern system of the international relations. Beijing considers threat to the national interests in the politician of the USA in Asian-Pacific region which is directed on "restraint" of China. It forces the Peoples Republic of China, according to Kamennova, to operate in two directions: to consolidate political and military-technical cooperation with Russia which as defends principle of sovereignty and international law, and to consolidate the Navies . A.V.Shlyndov agrees with opinion of Kamennova. Accepting in attention of action of China, directed on achievement of the national interests, it describes global measurement of modernisation of Naval Forces NOAK the Peoples Republic of China which should be completed by 2050. On its results China should become a sea-power, capable to project the power in any unit of world ocean . The main threat China sees not in Russia, and in the USA, in opposite a case, the Peoples Republic of China would increase power of the overland army. Perfectly realising that America surpasses several times potential of Naval Forces NOAK the Peoples Republic of China, China concentrates on shipbuilding and shipbuilding development, and the main partner in realisation of this problem he sees Russia. About special attention of the Chinese government to development of the Naval Forces specifies O.V.Migunov. She approves about inevitability of geopolitical collision of the Peoples Republic of China and the USA which at first will flash on Pacific ocean, and then, will outgrow in a global antagonism . It is necessary to notice that in such antagonism the partner or the ally will be necessary for China. Alone to Beijing not to cope with naval power of the USA. The modern marine sea fleet, which China while, does not possess is for this purpose necessary. In opinion Migunovoj, for its acquisition of the Peoples Republic of China is required still approximately 10 years of persistent work and development of military-technical cooperation with Russia on modernisation of the fleet. Arguing in terms of "balance of power", A.V.bass speaks about development of the Chinese aviation industry which can shortly become the competitor of Russia in the world market of arms . M.S.Barabanov, V.B.Kashin and K.V.Makienko write about evolution of a military-industrial complex of China, paying attention to development of shipbuilding and aircraft NOAK the Peoples Republic of China. Besides, the emphasis is placed on change of the status of the country in the arms world market. It is given particular attention to development of military-technical cooperation of China with foreign countries, in particular with Russia . The condition of an oboronno-industrial complex of Russia is reflected in N.I.Kalininoj and V.B.Kozjulina's works . In their works the analysis of prospects for cooperation of Russia with foreign countries against crisis in Ukraine and introduction of the western sanctions is given. The understanding of a historical essence of a problem is served by K.V.Makienko's works. Having analysed development of a military-industrial complex of China and having described history of military-technical cooperation of two states, he gives special attention to the further prospects of interaction of Moscow and Beijing in the given sphere. Research of Makienko allows to reveal those segments of military sphere of mutual relation of two countries in which military-technical cooperation of China and Russia could leave on new level. In its opinion, it concerns naval, aviation area and sphere of air defence . About the purposes of Russia and China in military-technical cooperation, and also about problems of interaction of two states in military-technical sphere R.S.Muhametov writes. He approves that Russia develops VTS from the Peoples Republic of China, proceeding from the economic targets while China tries to solve the geopolitical problems . Arguing categories neorealistskogo the approach, it is absolutely clear that escalating of military communications of Russia with India does not suit the Peoples Republic of China. Russia, in that case, tries to keep "balance of power" in region. Researches of the purposes, problems and prospects of the Russian-Chinese military-technical cooperation are presented in works of the Chinese authors, among which J.Dan, P.Guantsjan, Chzh. CHzhin, L.Jun, Chzhen Tsi, L.Chinvej, T.Sjaojun. T.Sjaojun, analyzing in the work change possibility of "a strategic balance of forces» in favour of China, says that military-technical cooperation of two states and growth of military potential of the Peoples Republic of China at all do not represent any threat for Russia. On the contrary, according to T.Sjaojunja, threat can proceed from «weak neighbouring country torn apart from civil strifes» . Comparing a condition of military potentials of Russia and China, the author comes to a conclusion that the Peoples Republic of China possesses weak possibilities that to threaten with any military image Russia . It is necessary to notice that T.Sjaojunja's article has been written in 2003. In this time the military-industrial complex of China has considerably changed. Some domestic experts speak about change of the status of the country in the world market of arms from the importer on the exporter of the weapon . Concerning political consequences Russian-Chinese military-technical cooperation, researcher Chzh. TSi considers that it causes deep fear in neighbours of the Peoples Republic of China, in particular at Taiwan and the countries of South East Asia . According to the author, China thanks to cooperation with Russia in military-technical sphere could provide displacement of a balance of power in region to own advantage, and also conduct modernisation of the oboronno-industrial complex. CHzh. TSi considers that deepening Russian-Chinese VTS even more will consolidate further a political role of the Peoples Republic of China in Asian-Pacific region . The Taiwan researcher L.Chinvej has in turn noticed that in 2005 the Russian-Chinese military-technical cooperation left on new level. Thanks to carrying out in 2005 of joint doctrines under the name «Peace mission» VTS Russia and the Peoples Republic of China has got, besides simple sales by arms, character of resolute actions . Really, given remark of the Taiwan scientist allows to say that the Russian-Chinese military-technical cooperation now napravlenno not only on modernisation of military-industrial complexes of both states, but as and on a crew training of armed forces, receptions of experience of carrying out of joint operations and working off koordinatsy the Joint Staffs on conducting active military operations by forces of both countries. About evolution of strategic partnership between Russia and China the Chinese scientist Jan Dan writes. He notices that the Russian-Chinese military-technical cooperation, and in particular sale of the Russian arms to China, became the central element of adjustment of strategic partnership between two states. In connection with the European weapon embargo entered by the western countries in relation to the Peoples Republic of China after events on the area of Tjananmen, Russia became the main supplier of military-technical production in the Peoples Republic of China . As J.Den agrees from L.Chinveem that joint military doctrines of two countries in 2005 have strengthened co-operation Russia and China in military sphere at bilaterial level. Together with it, the second operation conducted in 2007 «Peace mission» has consolidated interaction of the states within the limits of the Shanghai organisation of cooperation (SHOS) . P.Guantsjan, Chzh. CHzhin and L.Jun write that development of military-technical cooperation of Russia and China, both on multilateral, and at bilaterial level, is equitable to interests of safety of both states and not napravlenno against the third countries . Authors allocate that military contacts of China to the foreign countries are directed on a peace resolution of disputes, modernisation of a military-industrial complex of the Peoples Republic of China and creation of a stable security system . The Military-industrial complex of China by this time undergoes considerable changes. There are the qualitative changes characterised by jump in some key industries of a military-industrial complex: aircraft engineering and shipbuilding. It allows to speak about aspiration of the Peoples Republic of China to develop naval and air forces as priority directions. According to positions of the White book of the Peoples Republic of China for 2013, the foreign policy of China is directed on formation of a multipolar world order and comes true according to norms and international law principles. Thus the Peoples Republic of China opposes any form of hegemony and itself does not aspire to it . The given position allows to say that the modern system of the international relations from the point of view of China is represented in the form of a formed multipolar world order. In comparison with positions of the previous White books former there were also goals of the foreign policy of China, among which protection of the sovereignty, frontiers and creation of conditions for steady economic development. Despite closeness of the data of military character in official Chinese sources, the tendency to bolshej an openness and an information transparency is traced. In the White book for 2013 it is underlined not only number and structure NOAK of the Peoples Republic of China, but also a place of a disposition of army units and military subdivisions. In the White book problems of armed forces of China among which readiness to win in local war, to reflect any provocation from other state are accurately defined. Besides there is a concept "diversification" of application of VS NOAK which not only should participate successfully in military operations, but also be involved in active works in a peace time (for example, liquidation of consequences of emergency situations) . The special role in the White book is given military cooperation with foreign countries which as it is underlined in the report, is not directed against the third countries. The importance of military cooperation of fleet of the Peoples Republic of China and Russia is underlined. Besides, Russia in the report appears in the form of the partner with which it is necessary to develop military-technical cooperation. About the USA it is told that this «the country aggravates a situation in ATR by means of escalating in region of the military force and strengthening of military alliances» . From the point of view of the neo-realism theory China defines modern system of the international relations as multipolar according to which on international scene cannot be the unique predominant force. At the same time the Peoples Republic of China pays important attention to development of the military power and military-technical cooperation with other countries which should serve achievement of national interests of China. Management of a military-industrial complex of China, in view of its importance for national defence maintenance, is concentrated in state hands. The State council to which submit the Commission on supervision and management of state property (KNUGI) and the Government on affairs of a defenßÑ science, technics and the industry (GUONTP), and the Central council of war (TSVS) the Peoples Republic of China in which submission there is a Central administrative board of arms NOAK (GUV NOAK) is engaged in management VPK. Their competence includes the decision of the problems connected with questions of realisation of large military-technical programs and projects . The commission on supervision and management of state property (KNUGI) possesses a number of distinctive features, among which verification of compliance behind economic and financial activity of the state companies of the central submission (and the given state structure interferes with their economic activities), creation of large monopolists (for example, AVIC) by association of small enterprises . The government on affairs of a defenßÑ science, technics and the industry is engaged distribution of works and duties on fulfilment of defence jobs between the enterprises. As the given management is responsible for preparation of engineering shots for the defenßÑ industry and for participation in activity of leading technical colleges of China . The central administrative board of arms NOAK (GUV NOAK) has been created in 1998 and submits TSVS the Peoples Republic of China. At creation of the given structure the problem has been assigned to GUV NOAK on advance of requirements to purchases. But further the Air Forces, Naval Forces and the Second artillery NOAK of the Peoples Republic of China could reserve independence in the form of presence of own systems of advance of requirements to purchases of arms . Thus, managerial process by a military-industrial complex of China is completely concentrated in state hands. It posesses functions of management, control (the Commission on supervision and management of state property), distributions (the Government on affairs of a defenßÑ science, technics and the industry) and advances of requirements to purchases of military production. Last function does not concern naval and air forces which, in difference from land forces, have kept independence in this plan. In China manufacture of military-industrial production is concentrated in the hands several largest state military-industrial corporation which are responsible for this or that branch of defenßÑ sphere. Within last 10th years in aviation industry lifting in manufacture of products on two generations forward  has been carried out. Created in 2008 China Aviation Industry Corporation (AVIC) "air-air" and protivokorabelnyh rockets  is the largest state corporation in the field of military and civil aircraft construction, a helicopter construction, dvigatelestroenija, manufactures of onboard systems, aviation arms, rockets of a class. China Aerospace Science and Technology Corporation (CASC) is the leader in manufacture of space technics. The company includes 130 enterprises, 11 specialised companies and 8 organisations of the central submission . Manufacture of cruise missiles and intercontinental ballistic missiles (MBR) carries out China Aerospace Science and Industry Corporation (CASIC). The given corporation includes 600 organisations of the primary level, seven academies and two research-and-production bases and makes companions, systems REB, ZRK HQ-2, HQ-61, HQ-7, protivokorabelnye rockets S-701, С-704, С-705, С-802, cruise missiles DH-10, BPLA "Klinok" . Over the last 10 years in the field of shipbuilding China has achieved considerable successes, having come out on top on the tonnage of civil courts . For shipbuilding and shipbuilding in China answer China State Shipbuilding Corporation (CSSC) and China Shipbuilding Industry Corporation (CSIC). CSIC includes in the structure of the enterprise of northeast and central China among which 28 scientific research institutes of 7 ship-building enterprises of Dalian, Tjantszinja, Wuhan, Chungking, Huludao and Kunming and 46 industrial enterprises, and also owns ship-building factory Wuchang Shipbuilding Industry Company. The company specialises on release of electric submarines . CSSC includes the enterprises in the east and the country southeast, among which 50 enterprises and 9 scientific research institutes. The company owns the Shanghai ship-building factories Jiangnan and Hudong-Zhongua and the Chinese sea design-research institute. CSSC lets out frigates of the project 054, torpedo boats 052В and 052С . The characteristic of the Chinese state military corporations is reduced to the following: these are the large companies-conglomerates which make production, both military, and civil appointment. They actively invest the means in not military branches, and for them presence of own foreign trade associations  is characteristic. Besides, in development of the state corporations it is possible to reveal following tendencies: there is a re-structuring of military-industrial corporations to association of actives in the affiliated holding companies . Besides, encouragement with the Chinese authorities participation of private business in realisation of military programs  is observed. Nevertheless, it is impossible to tell that military expenses of China raise from year to year promptly. Development VPK the Peoples Republic of China, and together with it and increase in volumes of the military budget, occurs according to gross national product rates of growth. In too time the International institute of strategic researches in the year-book The Military Balance-2014 results figure in 112.2 bln. dollars It is supposed that the data differs in view of different ways of methodology of calculation. The government of China provides development of the military-industrial complex by two ways: own military-oriented production (PVN) and expansions of military-technical cooperation with the foreign states. For example, development VTS with Russia has allowed China to provide displacement of a balance of power in ATR to own advantage, and also to conduct modernisation of the oboronno-industrial complex . The main geopolitical contender in ATR for China is the USA. These can explain that the most priority directions of development VPK the Peoples Republics of China are modernisation and strengthening naval and country air forces, and also development of systems of anti-missile (ABM) and anti-aircraft defence (air defence). During too time of modernisation of ground forces much smaller attention is paid. At present the Navies of the Peoples Republic of China consist of three fleet divided to a geographical sign, northern, east and southern which number makes 235 000 persons. The fleet of China consists of submarines, a surface vessel, sea aircraft, means of coastal defence and marines . The implementation of a program of modernisation of Naval Forces NOAK is planned to carry out the Peoples Republic of China in three stages: maintenance of steady positions in water area of the Yellow, East Chinese and Southern-Chinese seas; in 2016-2020 - to provide favorable operative position of the Navies of the Peoples Republic of China in water area of the Japanese and Philippine seas and to the XXI-st century middle - to project the naval power in any unit of the World ocean . Modernisation of Naval Forces NOAK is conducted at the expense of building of surface and underwater platforms. 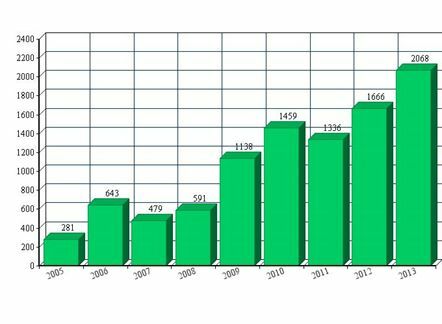 Phenomenal jump in civil shipbuilding is over the last ten years observed - China has occupied 1 place on the tonnage of civil courts . Among military programs of shipbuilding in China projects of new Chinese nuclear rocket and nuclear multi-purpose submarines, building of 4 not nuclear submarines in a year, mass building of frigates  are especially allocated. According to Prospecting agency of Naval Forces of the USA, to the middle of 2015 China will increase quantity of the military ships by 25 %. Besides, Washington disturbs change of a balance of power in region, which is broken by that China has developed YJ-18 (supersonic protivokorabelnye cruise missiles), capable to overcome air defence of the USA and their allies . Nevertheless, would be premature to speak about a decline of the Navies of the USA. To be made even to America to Beijing the modern powerful marine sea fleet, which China while, does not possess is necessary. For its acquisition 10 years of persistent work  is required, according to some information, still approximately. Perfectly realising that America surpasses several times potential of Naval Forces NOAK the Peoples Republic of China, China concentrates on shipbuilding and shipbuilding development, the main partner in realisation of this problem he sees Russia on which it still depends in deliveries of rocket arms, electronic systems and gas turbines. In connection with global ambitions of the Peoples Republic of China necessity of presence of efficient aircraft increases. On the middle of 2012 military-transport aircraft NOAK totaled more than 320 planes . Lately China has achieved successes in manufacture of the military-transport plane with turbojet two-planimetric engines, tests of Jun-20 have begun, there is a work on creation of new engines WS-18 and WS-20. China goes by the way of loan of technologies in manufacture of rocket arms, basically Russian . According to E.P.Buzhinsky of the USA, being engaged in building of the global ABM, undermine strategic stability and provoke other countries to race of arms. According to the FEAST-CENTER for 2012 it is possible to speak about presence in armed forces of the Peoples Republic of China of 240 strategic carriers, 375 non-strategic carriers and about 240 nuclear charges . Strategic carriers of land basing include about 180 rockets (DF-4, DF-5, DF-21, DF-31). Besides, in China working out of ballistic missiles of submarines JL-2 with the range 7500, capable to reach territory of the USA  proceeds. In air forces NOAK the Peoples Republic of China proceeds working out of fighters of type J-11 ("Tszjan-11") and J-16 ("Tszjan-16") . At present all fighters of the fourth generation of the Peoples Republic of China work on engines of the Russian manufacture: АЛ-31Ф, АЛ-31ФН, РД-93 . Systems of anti-missile and anti-aircraft defence are, by definition of Americans, components of realisation of strategy «restrictions of access of a non-admission in important regions» (Anti-Access/Area Denial). The main arms here are arriving shortly in army the fighter of fifth generation J-20, cruise missile YJ-12 having a range more of 200 miles and which can be launched from air, from courts and submarines, the surface-to-air missile system of air defence HQ-9 having height of interception from 50 to 30000 metres . As on arms at the Peoples Republic of China are ZRK air defence С-300, and to 2014 Beijing has signed with Moscow the contract on deliveries of six divisions С-400 which will be shortly transferred China . Maloizuchennoj the space program of China, in view of its closed character is, and the official data on this theme it is almost impossible to find. Those not less, it is possible to say that the military-space programme of the Peoples Republic of China which basic component are space kinds of arms, promptly develops. Working out of such kinds of arms as a kinetic weapon, the weapon of a class "space-earth", aero-space planes, the laser weapon and puchkovoe the weapon  proceeds. Besides, the US State department in 2014 has accused the authorities of China of an ASAT-weapon test . As it is possible to tell about presence at the Peoples Republic of China 8 companions, infra-red prompting and about companions of navigating system "Бэйдоу" which can be used in the military and prospecting purposes . Because there is a qualitative modernisation of the Chinese military-industrial complex, the status of the country in the world market of arms changes also. Conditions for transition of the Peoples Republic of China from the country-importer in the country-exporter of arms are created. In 2014 China has taken the third place in the list of the largest exporters of the weapon. From 2010-2014 military export of the Peoples Republic of China has increased about 3 % to 5 % from world-wide, having outstripped on this indicator France and Germany. The basic buyers of the Chinese weapon are Pakistan (41 %), Bangladesh (16 %) and Myanma (12 %) . The Chinese export of arms is orientated on the markets of developing countries of Asia, Africa and Latin America. Frequently quality of the Chinese arms concedes to quality of arms of the USA and Russia, therefore the Peoples Republic of China can become successful only in some segments of the world market. In due course the role of China as exporter will increase . Summing up, it is necessary to notice that, first, development of a military-industrial complex of the Peoples Republic of China is marked by a number of successes, among which achievements in the field of shipbuilding and aviation industry. These successes, frequently, have been reached by loan of foreign technologies on which China, still, very much we depend. Secondly, development VPK the Peoples Republic of China leads to change of the status of the country in the world market of arms, transforming China into the third largest exporter of arms. It is necessary to notice that the Chinese production has as positive properties (relative cheapness and availability), and negative (poor quality of arms) . Thirdly, in official sources of the Peoples Republic of China it is told that priority development of military power of China is modernisation of naval and air-force troops NOAK. Discrepancy between today's statements about nestremlenii to hegemony and the future claims on leadership on the sea is noticed. Realisation of so scale plans in many respects will depend on ability of the Chinese government further to continue modernisation of the VPK. Fourthly, modernisation of a military-industrial complex of China is possible only under condition of preservation of military-technical cooperation with Russia which is in turn interested in it from the point of view of economic and political interests. Russia operates on international scene, being based on several main foreign policy documents in which main objectives, problems and priorities of foreign policy of the country are specified. The foreign policy Concept, Strategy of national safety and the Military doctrine of the Russian Federation concern such documents. It is necessary to consider foreign policy representations of Russia through a prism of categories of neo-realism. In the Concept to foreign policy of the Russian Federation as well as to the White book of the Peoples Republic of China, it is noticed that Russia considers a condition of modern system of the international relations as «a transition period which being consists in formation politsentrichnoj the international system» . Hence, Moscow opposes predominant force presence on international scene. Russia recognises that in the world «there is a dispersal of world potential of force and development, its displacement on the East, first of all in Asian-Pacific region» . Occurs some kind of displacement of a balance of power. The major direction of the Russian foreign policy is development of friendship with China which is noted in the Military doctrine of the Russian Federation as "state-partner" . In the foreign policy Concept it is told that «Russia will continue to increase universal confidential partnership equal in rights and strategic interaction with China, actively to develop cooperation in all areas, on various directions, including search of answers to new calls and threats, the decision of sharp regional and global problems» . Russia pays priority attention to maintenance of national safety of the country. It comes true for the account «carrying out of a perspective military-technical policy and development of a military infrastructure, transition to qualitatively new shape of Armed forces of the Russian Federation, creation and modernisation of arms, the military and special technics» . Hence, Russia features maintenance and perfection of the military power. According to SIPRI, military expenses of Russia in 2014 under the estimated data have made 84.5 bln. dollars . As it is told in the military doctrine of the Russian Federation, development of a military-industrial complex of Russia should come true at the expense of creation «research-and-production structures, maintenance of technological independence in the field of manufacture of strategic samples of arms, working out of priority technologies, preservation of control of the state over key segments VPK, the organisations of an oboronno-industrial complex, perfection of activity of the organisations of an oboronno-industrial complex and a regular personnel» . The federal Law of the Russian Federation from July, 19th, 1998 № 114-FZ «About military-technical cooperation of the Russian Federation with the foreign states» defines military-technical cooperation as «activity in a field of international relations, connected with export and import, including with delivery or purchase, military goods, and also with working out and military-oriented production»  which main objectives are «strengthening of political-military positions of Russia in the world, development of scientific and technical base of an oboronno-industrial complex, maintenance of high level of an export potential of the country and reception of currency means for the state needs of the state» . The military doctrine as defines the basic priorities Russian VTS, among which «coordination of efforts with member states SHOS in interests of counteraction to new military dangers and military threats on joint space, and also creation of necessary is standard-legal base» . Thus, it is possible to draw a conclusion that development of system of military-technical cooperation of Russia with the foreign states is directed first of all on achievement of national interests of the state and «comes true on the basis of foreign policy and economic feasibility» . The system of military-technical cooperation of Russia comes true at two levels: level of management and a level of production which is presented by the largest state corporations which are representing itself as subjects VTS. Separately here it is necessary to note company Rosoboroneksport as the state intermediary on export and import produktsy military and civil appointment. Control system VTS in Russia it is rigid ierarhizirovanna and it is concentrated in state hands. Its elements is the President of Russia who supervises over a state policy in sphere of military-technical cooperation, the Government of the Russian Federation responsible for realisation of a state policy in sphere VTS, the Ministry of Defence of Russia into which duties enter realisation of military-technical support of deliveries of military production, working out of offers on formation of the list of military goods (PVN) and rendering of services to the foreign states on preparation of national military shots . Manufacture PVN as well as in China, comes true the largest state corporations and the holdings operating in certain branch of a military-industrial complex. 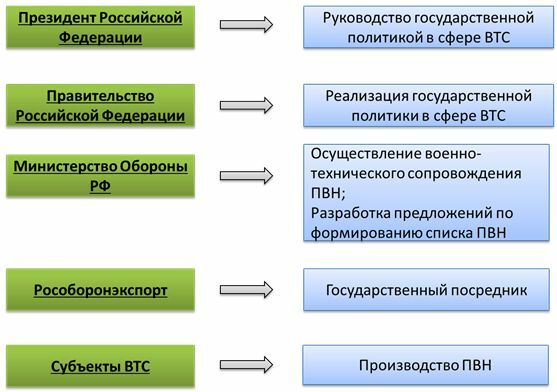 In aviation branch following companies operate: PAO «Company" Dry ", the Russian aircraft constructing corporation" Instant ", Open Society" Silt "and joint-stock company« Helicopters of Russia ». PAO «Company" Dry "is a part of Incorporated aviabuilding aircraft (OAK) and is the largest aviation holding of Russia. In it work an order of 26 thousand employees. The company has zagranpredstavitelstva in India, China and Vietnam, and also branches and branches.« Dry »realises the programs connected both with the military man, and with civil aircraft engineering, and also offers services in logistical support, among which, repair services, delivery of units and details, training and practical assistance. Company production has both military, and civil appointment. Among the military man battle fighter aircrafts of mark of the Sou are allocated: Су-27СК, Su-27UBK, Su-30MK, Su-32, Su-33 and a multipurpose fighter Su-35. The civil aircraft is presented by the regionalno-main passenger planes of family Sukhoi Superjet 100, Be-103, Su-26 and Su-80. At present there is a working out of supersonic administrative plane SSBJ - Supersonic Business Jet . The Russian aircraft constructing corporation "Instant" is the subject of military-technical cooperation of Russia which structure includes the engineering centre «OKB of A.I.Mikojana», the industrial centre and the letno-test centre of A.V.Fedotova . Thus, "Instant" is corporation with a full cycle of manufacture, assemblage and test carrying out. Let out production is presented by family of fighters MiG-29, MiG-31E, and also there is a work on release and perfection of fighters MiG-29K, MiG-29M and MiG-35D. Open Society "Silt" is engaged in working out, perfection and release of aviation production civil and military-oriented. The company gain in 2014 has made 295 billion rbl., 159 aircrafts have been thus made. Among civilian production it is possible to note Tu-204SM, An-148, Ms-21 and Sukhoi Superjet 100. The battle aircraft is presented by fighters of mark the Instant, That, the Sou and the Yak. The transport aircraft differs MTS release, Silt-76MD-90A and An-124 "Ruslan. Besides, among production there is a special purpose aircraft, for example, amphibian Be-200 intended for suppression of forest fires . One of leaders in vertoletostroitelnoj branches is the largest Russian holding of joint-stock company «Helicopters of Russia» into which structure enter the Moscow helicopter factory of M.L.Milja, the Uhlan-Udensky an aircraft factory, the Kazan helicopter factory and 6 aviation repair factories. In 2014 the company has let out more than 8500 helicopters which it is maintained in more than 100 countries of the world . Civil production is presented by easy multi-purpose helicopters Ka-226T and Ansat, and also transportno-passenger helicopters Mi-171A2, Mi-26T, Ka-62, Mi-38 and Mi-26T. Among military production helicopters Mi-26, Mi-35M, Ka-31, Ka-226T, Mi-28N «the Night hunter» and Ka-52 "Alligator" . The basic manufacture of military and civil sea-crafts is concentrated in hands of two largest Russian companies: Open Society «Admiralty shipyards» and joint-stock company «Incorporated ship-building corporation» (joint-stock company "ОСК"). Open Society «Admiralty shipyards» till now already has constructed more than 300 submarines, both for the Russian army, and for export. Production is presented by underwater, surface and shipbuilding of small size. Among underwater - a diesel engine-electric the submarine of the project 636, not nuclear submarine (NAPL) «the Cupid 1650», independent deep-operating vehicle "Russia". Surface production is presented by tankers of project Р-70046, 15966, 20070, 20071, 17120, and as a scientifically-forwarding vessel, a vessel-rescuer "Igor Belousov". Among shipbuilding of small size aluminium boats of family "Master"  are allocated. 80 % of all ship-building projects, both military, and civil appointment, the largest state corporation of joint-stock company "ОСК" realises. The company lets out nuclear («Amur-1650 of the project 677) and not nuclear (the project 636) submarines, a diesel engine-electric submarine" Амур-950 ", frigates of the project 11356 and 22356, and also the ships« the Tiger "," the Tornado "and" Gepard-3.9 ». Civil production is presented by chisel platforms, shelf technics, research and passenger ships . "ALLOY", "Corporation" Tactical rocket arms »and joint-stock company" èАО "are engaged in release of rocket arms and the space technics« air defence Concern «Diamond-antej","NPO. «The concern of air defence"Diamond-antej"specialises on release of the rocket arms which production is presented ZRK air defence С-400"Triumph", ZRK POVO С-300"Favourite", mobile ZRS"Antej-250", Buk-M1-2. Among air defence of sea basing it is possible to allocate ZRK average range of"Shtil-1"and ship ZRK"Reef Thf". Civil production is presented by the telecommunication equipment, the equipment for transport, radar-tracking technics . "NPO" the ALLOY »is engaged in release of rocket arms for land forces (volley fire missile systems« Hailstones "," Grad-1 "," Hurricane "," the Tornado ») and for navy fleet (RSZO« the Dam "," Fire "," Udav-1M "," РПК-8 ») . The joint-stock company «Corporation of the space equipment» is responsible for release of aviation devices, the onboard equipment and aviation training apparatus . Output of electronic appointment is concentrated in hands of State corporation "Ростех" and Open Society "ON" UOMZ ». Given production is presented by the geodetic equipment, optical products, light engineering and iatrotechnics. Thus, it is possible to draw a conclusion that in Russia military-oriented production, as well as in China, is rigidly centralised, ierarhichno and is massed in hands of the state which, besides, owns control levers system of military-technical cooperation. It speaks about specificity and the importance of the given process connected, first of all, with questions of the organisation of defensive capability of the country. In turn, the largest Russian military companies, also as well as Chinese, represent the huge holdings including factories, the test centres, design offices etc. Production which is let out by given state corporations, has frequently, both military, and civil appointment. Especially it is necessary to cover a problem of development of a military-industrial complex of Russia and military-technical cooperation with the foreign states in the conditions of the western sanctions. Will depend on the correct policy in these two directions what place will be occupied with Russia in a new formed world order . Most a constructive approach in this case is linkage of problems of development Russian VPK with consideration of a condition of military-technical cooperation of Russia and its place in the world market of arms. According to SIPRI, the volume of the Russian military export in 2014 has made 27 % of all world export. On this indicator Russia takes the second place, conceding the USA which occupy 31 % of the world market. India receive 39 % of the Russian military export, China - 11 % and Algeria of 8 % (see Table 7). By 2014 Russia exported PVN to 65 states, and with 89 foreign countries at Russia were popisany agreements on military-technical cooperation . In 2013 the volume of the Russian military export to the countries of Asian-Pacific region has made 41.5 bln. dollars (53 % from all military export of Russia) . In the Russian military export by 2012 the aviation technics (40 %), rocket arms (20 %) and the ships (20 %)  prevailed. According to a number of experts and military experts VPK of Russia under the influence of the western sanctions is in a difficult situation. Five subjects of military-technical cooperation of Russia (Diamond-antej, Ural Carriage-Building Plant, Rosteh, OSK and Basalt) became objects of these sanctions that will complicate reception of additional financial assets by them which could be directed on realisation of further workings out PVN . Among other problems it is possible to allocate insufficient management and control over a military-industrial complex and the countries VTS, a poor development of research and test base, deterioration of the professional shots, insufficient control over receipt of financial assets from export of military production and realisation of legal protection of intellectual property rights . Thus, it is possible to draw a conclusion that Russian VPK has special value for development and realisation of defensive capability of the state especially in the conditions of a worsening political situation and under the influence of change of system of the international relations with unipolar on a multipolar order. During too time, its realisation it is strictly concentrated in state hands, as well as release PVN. The exit from the given situation sees in preservation beyond Russia a key place in the world market of arms, including geographical segments, control over receipt of financial assets from this cooperation on development of research and test base VPK, strengthening of personnel professional structure, development of new technologies and scientifically-test and experimental base of a military-industrial complex. The important role is played by preservation of intellectual property rights that should defend the Russian military production from threats of its copying and resale in the world market of arms that will lead to undermining of positions of Moscow on him. The Russian-Chinese military-technical cooperation after disintegration of Soviet Union proceeded in qualitatively new geopolitical conditions. First, the bipolar system of the international relations, and together with it and an antagonism of two socioeconomic systems has stopped the existence. Secondly, Russia has faced a number of political and economic difficulties, including in military-industrial complex sphere. Thirdly, the western embargo entered in relation to China after events of 1989, forbade to sell the Peoples Republic of China arms and military technology. Those difficulties which have faced Russia and China in the early nineties, have forced both states to search for joint ways of an exit from a current situation. Development of the military man, including military-technical cooperation became one of such ways. Creation 1992 of the Russian-Chinese commission on military-technical cooperation became one of the first steps on adjustments Russian-Chinese VTS. The given commission functions till today and sits every year serially at Moscow and in Beijing. Last session of the given commission has passed on November, 19th 2014 in capital of China on which development of military-technical communications of two states has been positively estimated and the purposes of the further interaction  are planned. With 1992 for 1999 China bought standard systems of arms of the Soviet sample, among which arms for the Air Forces and the Navy of the Peoples Republic of China, such as 38 fighters-interceptors Su-27SK, 40 uchebno-battle fighters Su-27UBK and a project destroyer 956А type "Modern" . In 1997 the Mechanism of regular meetings of heads of the governments of the Russian Federation and the Chinese National Republic has been formed. It has been generated for the purpose of a co-ordination of action from Moscow and Beijing in trading, economic, military, scientific and technical and energy spheres. The special attention has been given development of relations under the large-scale projects, having strategic value for both states, including in military-technical area . Successful development military-technical in 1990th has led to registration of strategic partnership between Russia and China. In the Peking declaration to it it has been given particular attention, along with development of relations in trade and economic and scientific and technical sphere. About VTS two states it has been noticed that it «is one of mainstreams of deepening and expansion of the Russian-Chinese relations of confidential partnership equal in rights and strategic interaction» . The Contract signed on July, 16th, 2001 in Moscow on good neighbourhood, friendship and cooperation between the Russian Federation and the Chinese National Republic assumed that military-technical cooperation of two states has the purpose trust strengthening between Russia and China and not napravlenno against the third countries . Thus, military-technical cooperation of Russia and China is one of the main components of development of military communications of two countries who, in turn, represents itself as a basis of strategic partnership of Moscow and Beijing. In difference from the period with 1992 for 1999 when China bought already ready weapons systems of the Soviet sample in 2000-2004 naval and air forces NOAK the Peoples Republics of China carried out purchase of the Russian weapon under the individual projects developed specially for the Chinese army. Among them, for example, 24 multi-purpose fighters Su-30MKK, destroyers 956ЭМ. Besides, China became the customer of air defence systems С-300ПМУ-2 . 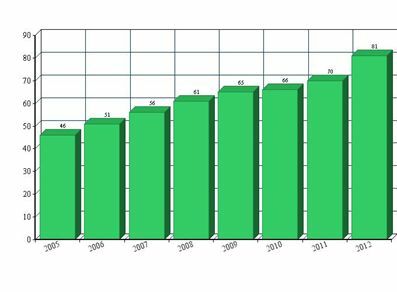 During the period with 2004 for 2008 China remained the main importer of the Russian arms, consuming 42 % of military export of Russia while India took the second place on this indicator (29 % of the Russian military export) . In too time in 2006-2007 at cost of concluded contracts China has conceded the first place of India, to Algeria, Venezuela, and in 2009 - to Vietnam , continuing to remain, thus, one of the main buyers of the Russian weapon. The reason that by 2008 the Chinese industry has considerably changed and began to let out separate kinds of arms itself. During the period with 2004 for 2012 China has carried out the order 34 ИЛ-76МД. Deliveries of transport planes and tenders, highly technological subsystems, engines, a radar, homing heads came true. Eskadrennye torpedo boats of type 956ЭМ for the sum 1.13 mln. dollars  In 2010 Russia has met the conditions the contract on deliveries to China 15 divisions ZRK air defence С-300 . First three periods are characterised by great volumes of purchases by China the Russian arms, rather low technology requirements, especially during the period with 1992 for 1999, fast rates of fulfilment of conditions of contracts from Russia. The fourth stage of military-technical cooperation of Russia and the Peoples Republic of China proceeds now and is characterised by purchases of air defence systems, arms for the Air Forces of the Peoples Republic of China and battle platforms for country navy fleet. In 2013 Russia has begun delivery to China military-transport planes Silt-76MD in number of 10 planes. Transaction cost is unknown, but the assumption becomes that the Peoples Republic of China, in view of workings out own Y-20, will refuse further purchases of the Russian military-transport planes . Cooperation of Russia and China in aviation area proceeds and in the area of deliveries of the Russian multi-purpose helicopters, such as Ka-32A11BC and Mi-8/17 and heavy transport Mi-26Ts. Besides, the Russian state corporation «Helicopters of Russia» shortly should begin delivery in the Peoples Republic of China four new helicopters Ka-32A11BC, and also carry out training of letno-technical structure . To strengthening of strategic partnership of two countries that fact testifies that in November, 2014 the contract for the sum 3 bln. dollars about deliveries to China from Russia ZRK air defence С-400 has been signed. The Peoples Republic of China became, thus, the first foreign state-buyer of the given rocket complexes. The raised range of these rockets which makes about 400 km, will allow China to control a situation on Taiwan and around islands Senkaku . Nevertheless, in Rosoboroneksporte approve that wishing to get ZRK air defence С-400 much, but priority all the same there is an equipment way the given complexes, first of all, the Russian army . Now negotiations about deliveries to China 24 fighters of generation 4 ++ Su-35 proceed. At present the contract between two states is not signed, though contract signing was expected in 2014 . Also, between Russia and China work on an award of a contract about deliveries and assemblages in the Peoples Republic of China under the Russian licence of not nuclear submarines of type 677 is conducted. There is a cooperation of Russia and China in sphere of space researches, namely in the field of outer space exploration. The given cooperation, according to the Russian researchers «has not only economic and scientific value, but also safety measurement» . The head of Russian Space Department Oleg Ostapenko following the results of an aerospace exhibition which in 2014 passed in China, has declared that Russia will look narrowly at the Chinese components of the space industry. Also the offer on joint research of solar system and to an exchange of experience between the Russian and Chinese cosmonauts  has been stated. Last session of the Russian-Chinese commission on military-technical cooperation passed under the influence of a deterioration of relations of Russia with the West. It has been declared that both countries «will resist in common to threat of colour revolutions and in 2015 will conduct joint naval doctrines in Pacific ocean and in Mediterranean sea» . The agreement between "Rostehom" and the Chinese corporation AVIC «about strategic cooperation in the field of manufacture of planes and a helicopter construction, working out and manufactures of aviation materials, the onboard aviation and onboard electronic equipment»  has been approved. At session of the Russian-Chinese intergovernmental commission which passed on April, 27-28th in Hangchow, with company participation «Helicopters of Russia» have been carried on negotiations with the Chinese corporation AVIC for the project on joint workings out of the heavy civil helicopter . On May, 8th, 2015 between the Russian company «Helicopters of Russia» and Chinese AVIC was popisano the Frame agreement on cooperation under the project of the forward heavy helicopter which will be specially created for the Chinese market . Thus, military-technical cooperation of Russia and the Peoples Republic of China has under itself strong, fixed legally both states, contract-legal base. Russian-Chinese VTS is the integral component of the military man and, thus, strategic interaction of two states. In spite of the fact that China concedes the first place on import of the Russian arms of India, it all the same remains the largest buyer of the Russian weapon. Military-technical cooperation of Russia and China is under construction, first of all, on those purposes, which both states consider for themselves as the most important. For Russia it, first, strengthening of trust with the strategic partner and, secondly, reception of financial benefits for the further development OPK. For China the most important purpose is modernisation naval and air forces. Military-technical cooperation of China develops in the area of interaction in sphere of aircraft engineering, means of arms for Naval Forces NOAK the Peoples Republic of China, workings out of aviation engines and in space area. Besides, the Russian-Chinese military-technical cooperation pursues not only economic targets, but also the purposes of political character. To that as an example sale serves China С-400 and negotiations about deliveries of Su-35, and as carrying out of joint military doctrines and formation of system cooperation in space area. In a modern situation military-technical cooperation of Russia and China is estimated from the different points of view. On the one hand it is possible to observe conversations that Russian-Chinese VTS is favourable to both countries, both economically, and politically. 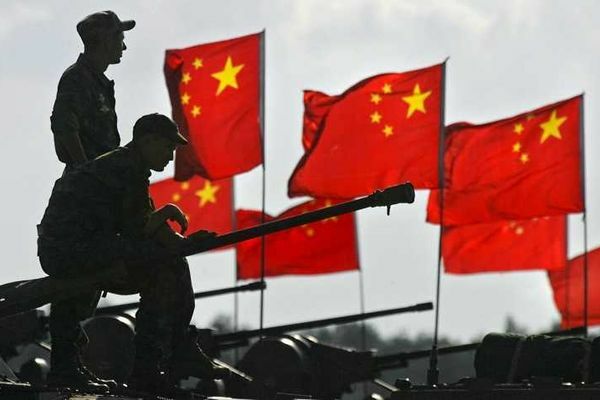 At the same time, there is a discussion in expert circles about threats of arms of the Peoples Republic of China which shortly on the military-industrial potential will be as equals with Russia. Supporters of such point of view, as a rule, operate with facts, concerning infringements from China of the intellectual property rights, expressed by copying Russian samples of arms . The given point of view the experts considering that do not divide opinion that the Peoples Republic of China is capable to copy absolutely, including the military technology, strongly exaggerated . For revealing strong and weaknesses of the Russian-Chinese military-technical cooperation it is necessary to conduct SWOT - the analysis following the results of which it is necessary to offer variants of strengthening and deepening of interaction of Russia and the Peoples Republic of China in military-technical sphere. Most full strengths Russian-Chinese VTS have been resulted in the second chapter of the given work. Here it is offered to systematise once again them, and the basic attention to give to problems. First, military-technical cooperation of Russia and China is an important component of strategic partnership of both states. Thus, it is institutsionalno issued, having under itself strong contract-legal base, interaction and dialogue channels. The V-second, interaction of the states in military and in military-technical sphere leads to strengthening of mutual trust to each other. Thirdly, interest of Russia and China on economic (incomes under the contract, military-industrial complex modernisation) and political (strengthening of mutual trust and strategic partnership) to the purposes in military-technical cooperation with each other is observed. Fourthly, the military-technical partnership results Russia and China in adjustment of interrelations concerning global and regional safety. And, at last, fifthly, Russian-Chinese VTS leaves far for frameworks of exclusively military-technical cooperation and includes, besides deliveries and arms workings out, adjustment of interaction in the field of communication, carrying out of joint doctrines, cooperation in military-medical area etc. Nevertheless, besides strengths Russian-Chinese VTS are observed as both problems of interaction of Russia and the Peoples Republic of China in military-technical area. Among problems of the Russian-Chinese military-technical cooperation it is possible to note such, as threat of copying of the Russian samples of arms, manufacture of the Chinese analogue and its resale in the arms world market, reduction of a share of the Russian export of arms to China , the Indian factor, threat of displacement of a balance of power from the military-technical point of view towards China. Intellectual property violation of rights - one of the most widespread problems of the Russian-Chinese military-technical cooperation. The pertinent will notice that almost all states having any partner relations with China face this phenomenon. However it is not at the bottom, on which it would be necessary to refuse the huge and perspective Chinese market. One of examples of a violation of rights of intellectual property from the Peoples Republic of China in relation to the Russian military production it is possible to result RSZO А100 developed in China who is a copy of Russian "Tornado". Other example is 155-mm SAU PLZ-05 (a copy of Russian artillery system "Msta-with") . But, likely, the vivid example is the Chinese fighter J-11 which is a copy of the Russian fighter Su-27. On this background passed various discussions about expediency of sale to China new Russian fighters of generation 4 ++ Su-35. Nevertheless, as it has been told in the second chapter of the given work, all Chinese fighters function on the Russian engines. Thus, the Peoples Republic of China is extremely interested in deliveries from Russia necessary engines. So, for example, Russia will deliver about hundred aircraft engines for Chinese J-11. Nevertheless, the questions connected with a problem of copying by China of the Russian samples of arms, have different estimations among the Russian experts. Some Russian authors consider that representation that China is capable to copy everything, plus to all also in a short space of time, are erroneous and naive . Moreover, there is a refutation of some facts for example connected with Chinese air defence system HQ-9 as which many military experts consider as a copy Russian С-300. Actually, the given air defence system has been created in Russia under orders of research and development of China . Thus, the problem of a violation of rights of intellectual property all the same exists and demands the decision. As to standard-legal side question in 2008 between the Government of the Russian Federation and the Government of the Chinese National Republic the Agreement on guards of intellectual property  has been signed. Both parties are interested in observance of the given agreement. Cooperation of both states over joint working out and military-oriented output could become other variant of a solution of a problem of "copying". The copying problem leads to working out in China the Russian analogue (copy) with possibility of its resale in the arms world market. The matter is that the Chinese samples of the weapon possess a number of advantages, among which their relative cheapness and availability to the countries of Africa, South East Asia and Latin America. The tendency according to which China from the main importer of arms passes in the exporter is at present observed, having overtaken, according to SIPRI, on this indicator Germany, France and Great Britain . At present the Peoples Republic of China has a wide spectrum of military-technical cooperation with the foreign states among which Argentina, Pakistan, Iran, Cambodia, Bolivia, etc. China delivers in these countries, fighters, tanks, helicopters, armoured personnel carriers, uchebno-training planes and other technics . Though it is necessary to notice that quality of Chinese military production notably concedes to quality of the Russian arms, but differs relative cheapness, and thus is accessible to developing countries which is the main recipients of the Chinese arms. One of the most shined problems of the Russian-Chinese military-technical cooperation is reduction of volumes of military export of Russia to China. On this indicator in 2008 Beijing was overtaken by India. Nevertheless, it is necessary to notice that reduction of a military commodity turnover between Russia and China is quite natural process. First of all, qualitative change, modernisation and perfection of separate branches military-industrial a complex of the Peoples Republic of China allows China to provide the army with arms independently. On the other hand, there was a geographical expansion of deliveries of the Russian arms that has led to reduction, in percentage indicators, volumes of deliveries to China . Nevertheless, volumes of the Russian-Chinese military-technical cooperation remain, despite indicators Russian-Indian VTS, high enough. Considering problems of the Russian-Chinese military-technical cooperation, it is necessary to note a role and a place of the Indian factor. India is today the heavy buyer of the Russian weapon which during the period with 2008 for 2014 has got the Russian arms on 17744 mln. dollars  Moreover, India as well as China, is the important partner of Russia, and their relations have character of strategic partnership. Russia should balance in the present state of affairs, developing simultaneously military-technical cooperation, as a unit of strategic partnership both with India, and with China. Concerning political consequences Russian-Chinese military-technical cooperation, the Chinese authors notice that it causes deep fear in neighbours of the Peoples Republic of China, such as Taiwan and the countries of South East Asia . Thus, thanks to cooperation with Russia in military-technical sphere China is capable to provide displacement of a balance of power in region to own advantage, both in political, and in military sense . Certainly that China for last 10-15 years has considerably changed militarily. Result to it is, including, modernisation of a military-industrial complex at the expense of development of military-technical cooperation with Russia. Russian-Chinese VTS, thus, carries in itself and political consequences. For example, sale to China the newest ZRK air defence С-400 certainly offers the Peoples Republic of China military and political advantages in region, allowing Beijing to control a situation around Taiwan and an island of Senkaku. Problems of military-technical cooperation have at times ambiguous character and are differently reflected in expert circles. A number of the Russian experts is said about approach in the future of the Chinese threat to national interests of Russia, by others - that fears are exaggerated, and VTS it is favourable to both states. Considering strengths Russian-Chinese VTS, it is necessary to notice that their strengthening and as realisation of those possibilities which they give, should lay down in a basis of strategy of Russia on development of military-technical cooperation with China. It as will help to level weaknesses of the given cooperation and to avoid threats in which they can result. It will be pertinent to notice that in the given work positive scenarios are resulted only. Negative scenarios are not considered, as in work it is not necessary to such purpose. Separately it would be desirable to underline that the offered scenarios reflect as possibility of the decision of problems of the Russian-Chinese military-technical cooperation and should act in a complex variant, instead of separately from each other. The scenario 1. Russia should concentrate on development, modernisation and increase of appeal of the oboronno-industrial complex. The given problem becomes complicated against introduction of the western sanctions under which 5 Russian state corporations-subjects VTS have got. As it has been revealed during research, weak places Russian OPK are the skilled-experimental base and research and development. Successful development of the given branches promotes creation of new technologies and samples of arms. Thus, incomes of sale of arms should be directed China on this purpose. For this purpose Russia should strengthen control over that incomes under the contract were napravlenny on development of new researches in the field of OPK and NIOK. The scenario 2. It is favourable to Russia to involve China in co-productions and military goods workings out. It will allow to solve a problem connected with infringement from China of the rights to intellectual property and to level threat, across which Peoples Republic of China can resell the analogue in the arms world market. According to the Russian researchers, modern Russian-Chinese military-technical cooperation can be consolidated at the expense of realisation joint military-contract designs, close industrial cooperation and joint investments into research and development  that is especially important for Russia in the light of the worsened relations with the USA and the West . The scenario 3. Speaking about a problem of reduction of a share of the Russian military import to modern time, in comparison with 1990 and the beginning of 2000th, not out of place will notice that it is quite natural process. The Military-industrial complex of China is now capable to provide the overland armed forces with conventional armaments independently. The given problem is offered to be solved by means of increase in a military commodity turnover at the expense of other buyers, including India. The given scenario, despite many conversations on discontent from China, completely corresponds to a policy of Russia on a diversification of the relations on international scene. The scenario 4. Russia is extremely interested to take part in modernisation Chinese air-force and the Navies. It speaks two moments. First, China gives to development of the Navies and the Air Forces prime value. Secondly, naval and air forces NOAK the Peoples Republics of China are very dependent on deliveries PVN from Russia. The Chinese forward fighters function on the Russian engines. These can explain that the Chinese aircraft shows to them a particular interest. Therefore, China is interested in deliveries from Russia 24 multi-purpose fighters of generation 4 ++ by Su-35 . While conversations on this point in question proceed, as well as about the contract price. The Peoples Republic of China as is interested in workings out together with the Russian company «Helicopters of Russia» of aviation production. During visit of Si Tszinpina to Moscow on May, 8th Rogozin has admitted possibility of the introduction of China in the International aviation committee that will facilitate certified procedures in creation dalnemagistralnyh planes . As to interaction in air defence sphere China becomes the first addressee Russian ZRK air defence С-400. Again there are conversations that China will copy in short terms С-400, will create the analogue and will resell it in the world market. However the Russian experts deny opinion that the Peoples Republic of China is capable to copy in short terms Russian ZRK. Especially, on battle watch the complexes С-400 received by China will arrive not earlier than 2016 . The scenario 5. Formation of joint, mutually advantageous partnership in the field of the basis of space, space programs and projects can become one of scenarios of deepening of the Russian-Chinese military-technical cooperation. In this respect between both states there is the legal base based on signed in 2010-2012 «to the Program of the Russian-Chinese cooperation in space area». Russia has already become interested in separate components of the Chinese space industry. Moreover, system space cooperation of Moscow and Beijing can have some measurements, among which scientific, economic and safety area. Development of satellite navigating system "ГЛОНАС" can become one of examples joint with Russia and China. 4) Frequently, Russia carries out deliveries of those kinds of arms which, being on battle watch in the Chinese army, cannot harm or presence of threat from the Peoples Republic of China. Threat of a violation of rights of intellectual property, certainly, is present in the Russian-Chinese military-technical relations, but it is on bolshemu to the account overestimated and does not demand refusal of the Chinese market. The scenario 7. The Russian-Chinese military-technical cooperation at its correct development should become a corner stone of all military cooperation which includes joint carrying out of military doctrines, partnership in military-medical sphere, in the field of communication etc. The system of military-technical cooperation of Russia with the foreign states remains to the major making activity of the Russian Federation on international scene. Its basic purposes on immediate prospects are «increase of competitive possibilities Russian PVN, system VTS perfection, and suppression of possibilities of an unfair competition» . Drums of M. S, Kashin of Century B., Makienko K.V.defence the industry of China and trade in arms of the Peoples Republic of China; the Center of the analysis of strategy and technologies; Dews. In strategist. issled. - M, 2013. Evtodeva M.Krizis of system of military and military-technical cooperation of Russia with the foreign states / Disarmament and safety 2013-2014: Strategic stability: problems of safety in the conditions of a restructuring of international relations / otv. red. A.G.Arbatov, N.I.Bubnova. 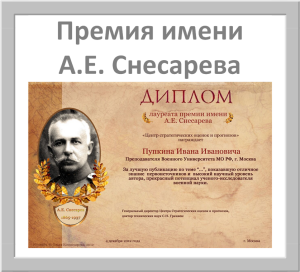 - M: IMEMO the Russian Academy of Sciences. 2014. With. 146-162. Makienko K.V.military technical cooperation of Russia and the Peoples Republic of China of century 1992-2002: achievements, tendencies, prospects. - M: Gendalf. 2002. Rybas A.L.strategic the analysis of the world market of arms and maintenance of national safety of Russia: the Monography. M: the Russian bibliographic institute. 2001. Smirnova L.N. Russia - China: 20 offers for economic, scientific and humanitarian partnership. - M: the Russian council bout the international affairs (RSMD). 2014. Medeiros E. A New Direction for China ` s Defense Industry//RAND Corporation. 2005. Mulvenon J., Tyroler-Cooper R. China ` s Defense Industry on the Path of Reform. Prepared for US-China Economic and Security Review Commission. 2009. Statistics and the analysis of world trade by the weapon. Ежегодник-2014//the Center of the analysis of world trade by the weapon. With. 28. Bromley M., Holtom P., Wezeman P.D., Wezeman S. T. SIPRI Arms Transfers Data, 2008//SIPRI Fact sheet. April 2008. Basses And. N. NOAK on take-off: a fighter of the fifth generation//Asia and Africa today. 2012. № 5. With. 6-11. Military-technical cooperation in new realities//a safety Index. №2. Volume 109. With. 133-146. Kalinin N.I., Kozjulin of Century B. Clay feet Russian OPK//a safety Index. №3-4. Volume 15. With. 47-67. Kamennov the Item the B. Military policy of the Peoples Republic of China//Asia and Africa today. 2007. № 5. With. 7-14. Maltsev A.V., Azarov D.A.prospect of a military-industrial complex of the Russian Federation in the conditions of sanctions//Izvestija UrGEU. 2014. ³5 (55). Migunov O.V.Kitaj - the lord of the seas? Asia and Africa today. 2010. № 5. C. 37-41. Muhametov R. S. Problems of the Russian-Chinese relations at the present stage / R.S.Muhametov//News of the Ural federal university. Social studies. 2012. № 3. With. 39-46. Sjaojun T.Tochka zrenija. A dangerous myth about «the Chinese military threat»//Asia and Africa today. 2003. №2. With. 33-40. SHlyndov A.V.Nav of China on a modernisation and development way//Problems of the Far East. 2011. № 3. C. 42-64. Wortzel, L. M. China's military modernisation and cyber activities. Strategic Studies Quarterly. № 8 (1). P. 3-22. A.L.strategic's  Rybas the analysis of the world market of arms and maintenance of national safety of Russia: the Monography. M: the Russian bibliographic institute. 2001. With. 14. In the same place. С.17. Kamennov of the Item the B. Military policy of the Peoples Republic of China//Asia and Africa today. 2007. № 5. With. 714. Migunovs O.V.Kitaj - the lord of the seas? Asia and Africa today. 2010. № 5. C. 37-41. See: Kalinin N.I., Kozjulin of Century B. Clay feet Russian OPK//a safety Index. №3-4. Volume 15. With. 47-67. / military-technical cooperation in new realities//a safety Index. №2. Volume 109. With. 133-146. 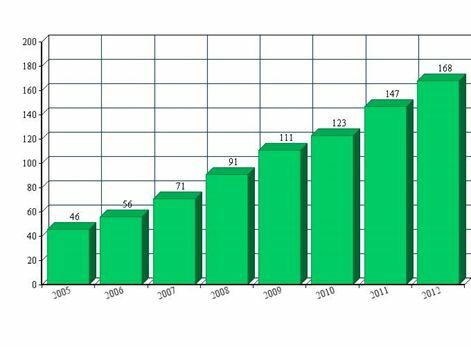 K.V.military's  Makienko technical cooperation of Russia and the Peoples Republic of China of century 1992-2002: achievements, tendencies, prospects. - M: Gendalf. 2002. With. 20-27. T.Tochka zrenija's  Sjaojun. A dangerous myth about «the Chinese military threat»//Asia and Africa today. 2003. №2. With. 33-40. See: Drums of M. S, Kashin of Century B., Makienko K.V.defence the industry of China and trade in arms of the Peoples Republic of China; the Center of the analysis of strategy and technologies; Dews. In strategist. issled. - m. 2013. Tsi Chzh. Military-technical cooperation of Russia and China in a problem context «two Kitaev»//News of the Russian state pedagogical university of A.I.Herzen. 2008. № 73-1. With. 511-513. Drums of M. S, Kashin of Century B., Makienko K.V.defence the industry of China and trade in arms of the Peoples Republic of China; the Center of the analysis of strategy and technologies; Dews. In strategist. issled. - M: 2013. With 12. In the same place. From 15-16. Medeiros E. A New Direction for China ` s Defense Industry//RAND Corporation. 2005. P. 34-35. Drums of M. S, Kashin of Century B., Makienko K.V.defence the industry of China and trade in arms of the Peoples Republic of China; the Center of the analysis of strategy and technologies; Dews. In strategist. issled. - M: 2013. With. 8-9. Drums of M. S, Kashin of Century B., Makienko K.V.defence the industry of China and trade in arms of the Peoples Republic of China; the Center of the analysis of strategy and technologies; Dews. In strategist. issled. - m. 2013. With 8-9. Drums of M. S, Kashin of Century B., Makienko K.V.defence the industry of China and trade in arms of the Peoples Republic of China; the Center of the analysis of strategy and technologies; Dews. In strategist. issled. - M, 2013. With 13. Statistican and the analysis of world trade by the weapon. Ежегодник-2014//the Center of the analysis of world trade by the weapon. With. 28. Shlyndov A.Voenno-morskie sily of China on a modernisation and development way//Problems of the Far East. 2011. № 3. C. 42-64. Drums of M. S, Kashin of Century B., Makienko K.V.defence the industry of China and trade in arms of the Peoples Republic of China; the Center of the analysis of strategy and technologies; Dews. In strategist. issled. - M, 2013. With 50. Migunovs O.V.Kitaj - the lord of the seas?//Asia and Africa today. 2010. № 5. C. 37-41. Shlyndov A.Voenno-vozdushnye sila of People's liberation army of China on a modernisation and development way//Problems of the Far East. 2014. № 2. C. 85-92. Drums of M. S, Kashin of Century B., Makienko K.V.defence the industry of China and trade in arms of the Peoples Republic of China; the Center of the analysis of strategy and technologies; Dews. In strategist. issled. - M, 2013. With. 201. Statistican and the analysis of world trade by the weapon. Ежегодник-2014//the Center of the analysis of world trade by the weapon. With. 24. Maltsev A.V., Azarov D.A.prospect of a military-industrial complex of the Russian Federation in the conditions of sanctions//Izvestija UrGEU. 2014. ³5 (55). With. 58. Maltsev A.V., Azarov D.A.prospect of a military-industrial complex of the Russian Federation in the conditions of sanctions//Izvestija UrGEU. 2014. ³5 (55). With. 60. Maltsev A.V., Azarov D.A.prospect of a military-industrial complex of the Russian Federation in the conditions of sanctions//Izvestija UrGEU. 2014. ³5 (55). With. 61-62. M.Krizis's  Evtodeva of system of military and military-technical cooperation of Russia with the foreign states / Disarmament and safety 2013-2014: Strategic stability: problems of safety in the conditions of a restructuring of international relations / otv. red. A.G.Arbatov, N.I.Bubnova. - M: IMEMO the Russian Academy of Sciences. 2014. With. 146-162. See: Kalinin N.I., Kozjulin of Century B. Clay feet Russian OPK / N.I. Kalinin, V.B.Kozjulin//a safety Index. 2009. T. 15. № 3-4. With. 47-68. / Maltsev A.V., Azarov D.A.prospect of a military-industrial complex of the Russian Federation in the conditions of sanctions/news of UrGEU. 2014. ³5 (55). With. 61-62. Makienko To. Military-technical cooperation of Russia and the Peoples Republic of China in 1992-2002: achievements, tendencies, prospects. - TH. : Gendalf. 2002. C. 40. Makienko To. Military-technical cooperation of Russia and the Peoples Republic of China in 1992-2002: achievements, tendencies, prospects. - TH. : Gendalf. 2002. C. 42-48. Drums of M. S, Kashin of Century B., Makienko K.V.defence the industry of China and trade in arms of the Peoples Republic of China; the Center of the analysis of strategy and technologies; Dews. In strategist. issled. - M, 2013. With. 60. See: Muhametov R. S. Problems of the Russian-Chinese relations at the present stage / R.S.Muhametov//News of the Ural federal university. Social studies. 2012. № 3. With. 39-46. Smirnova L.N. Russia - China: 20 offers for economic, scientific and humanitarian partnership. - M: the Russian council about the international affairs (RSMD). 2014. With. 23. Smirnova L.N. Russia - China: 20 offers for economic, scientific and humanitarian partnership. - M: the Russian council about the international affairs (RSMD). 2014. With. 22.